Total income for September came in at $8,454.34. The majority of which, $7,395.42, came from my day job. Expenses were down slightly compared to August but were still sizable at $7,656.47. However, that does include $4,109.04 in additional debt payments so expenses actually came in at $3,547.43. We were still able to eek out $797.87 of positive cash flow for the month including all income sources. The big news from September is that the A/C debt is officially gone which freed up $300 of monthly cash flow. The official savings rate came to 9% based off all income sources and -4% based solely off of work income. The adjusted savings rate, removing the extra debt payments, came to 58% and 52%, respectively. Truly passive income, dividends and interest, totaled $1,058.92 during September which was about a $55 increase from June. *Dividends are from my taxable accounts only. Based on September's spending the passive income for the month covered 14% of expenses. 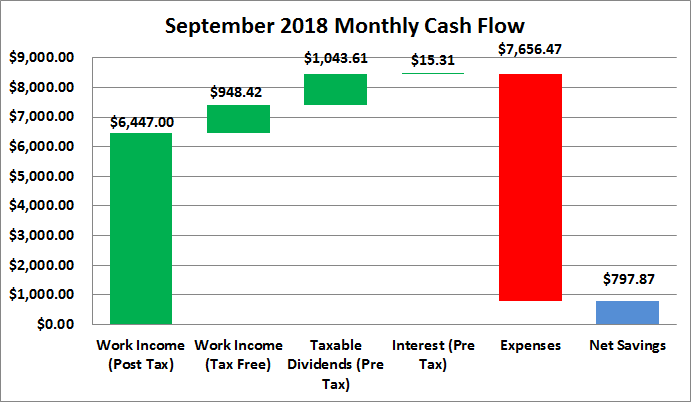 Excluding the extra debt payments the passive income covered 30% of September's expenses. Thus far in 2018 I've totaled $5,136.51 from income outside a traditional day job. 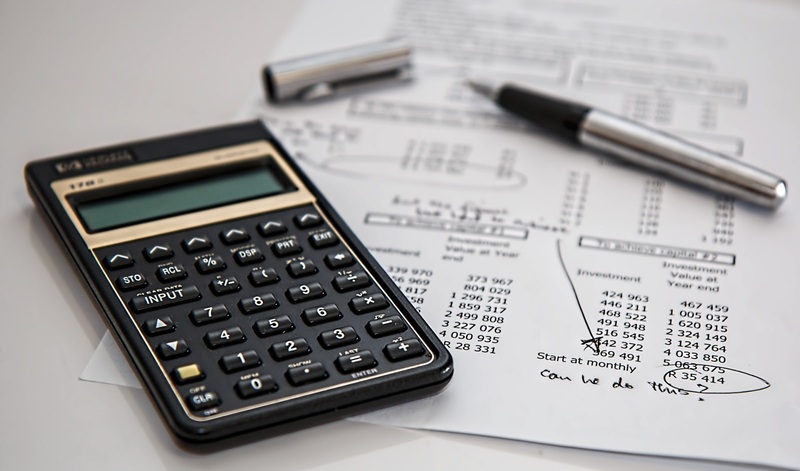 August started the debt reduction process and September saw it kick into overdrive as well as bringing us our first taste of success knocking out one of the debts. We now have an additional $300 of cash flow each month to put towards the remaining debt. Looking forward I'm not entirely sure what our plans will look like. Based on the month end balance of the car loan we still have right around $8,777 left to pay. That means we need to average $4,388.50 in total monthly payments for it to be gone by the end of November or $2,925.67 to be done by the end of the year. That's what the original plan was, but I'll be detailing why those plans might be changing sometime later this week. Nice cash flow. Keep it up. Cash flow is the king to reach fire early and investingvthe cash flow speeds up the process sooner.